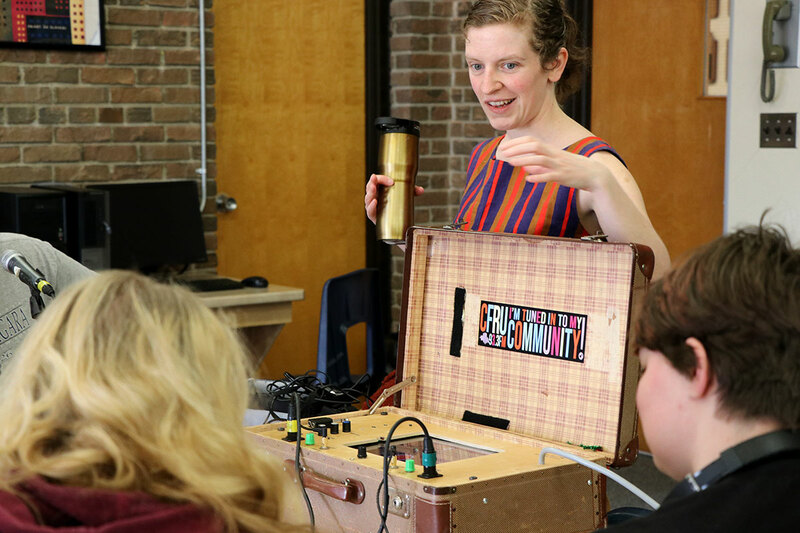 GUELPH, Ontario – Guelph high school students are learning about radio while earning a Specialist High Skills Major certification, through a unique partnership with CFRU 93.3 FM. On Monday, CFRU’s Jenny Mitchell and Bry Webb were at College Heights Secondary School teaching students about radio production. Approximately 30 students from the school’s theatre tech and acting classes participated, earning their SHSM certification in Radio Broadcasting and Production. To start the day, students were introduced to CFRU and the technology staff use to get radio programs to air. From there, they broke into two groups. The first group focused on interviewing and hosting skills. Jenny spoke to students about tips for coming up with interesting show or podcast ideas, for having an engaging conversation on the radio, and encouraged a back and forth dialogue between the students, who practiced their skills. The second group focused on recording and editing in the school’s media lab. 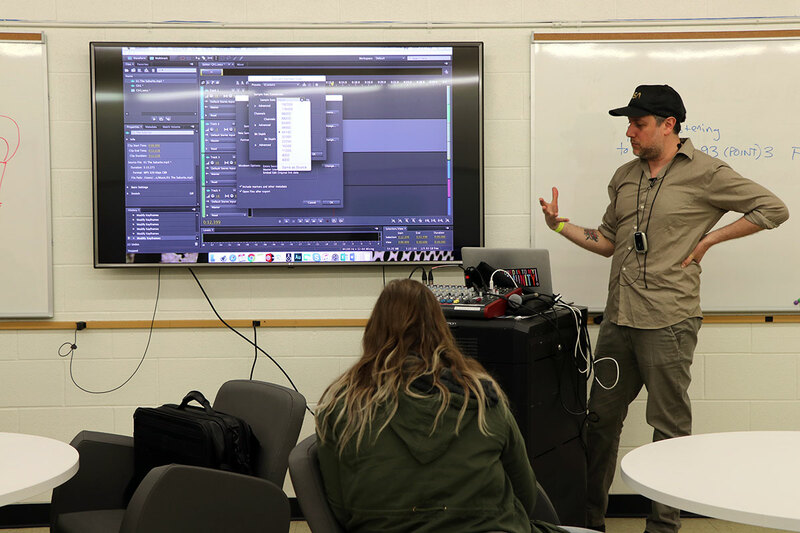 Bry introduced them to Adobe Audition and taught them about editing and mixing audio files, manipulating audio, and terms like clips, multi-track, pick up pattern, and so on. They took turns recording the CFRU Station ID, and were asked to think about how they could use these skills in sound editing in their upcoming theatre production. Now that the students know how to use the technology, they are going to make radio spots for the school’s annual Spring Sale. CFRU will air the spots leading up to the May 9-11 event and will do a live broadcast on the Friday of the sale. The partnership between the school and the community radio station also presents great opportunities for students who are interested in learning more about radio production to volunteer at the station, which would allow them to further their skills while earning their community service hours.